Funny– These books are packed full of children’s humour. Especially with Hercules’ misunderstandings- of which there are plenty! For example, when he attempts to fight Tim’s Tiger rug as he thinks it’s a real life beast! Educational (secretly)- all the best children’s books are those where children are having so much fun reading that they don’t realise how much knowledge they have acquired! In these two books we learn a lot! 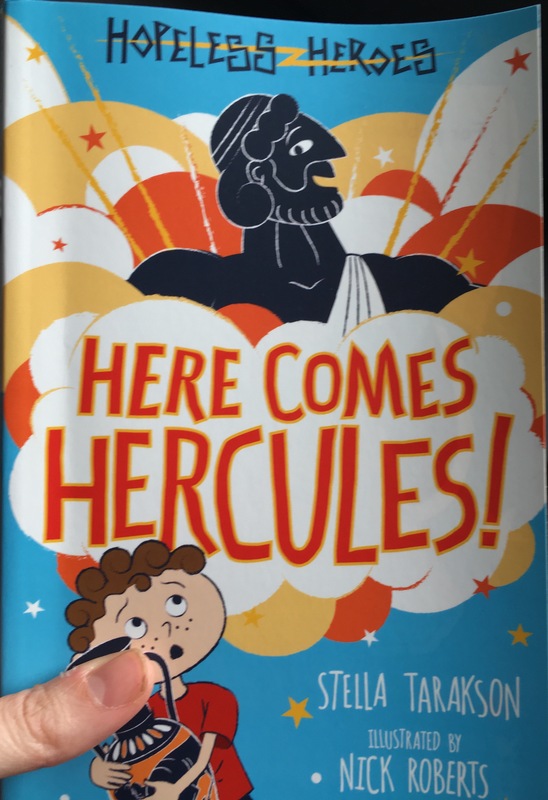 Including who Hercules, Hera, Zeus, Hermes and Theseus are (to name a few!). 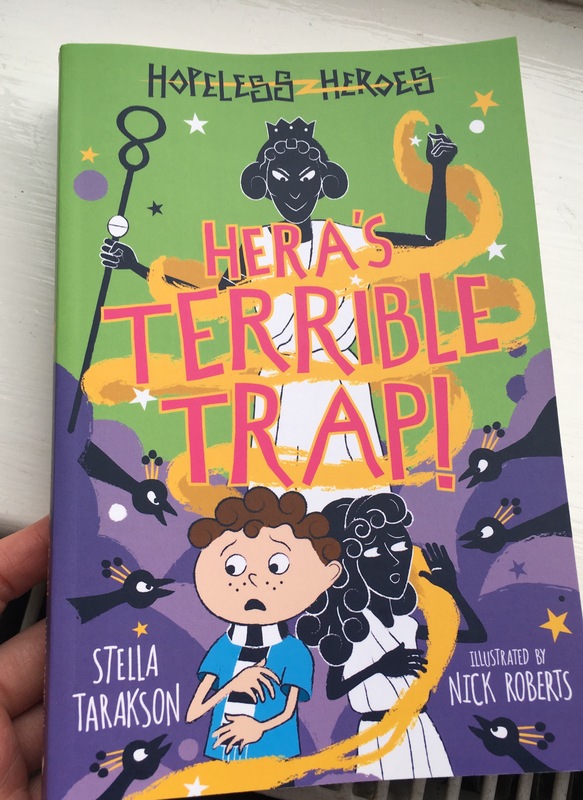 Deals with Real Issues– even though these books are about Greek Mythology they are very relevant to children. They cleverly and sensitively approach real worries that children have e.g bullies, telling the truth and friendships. Helping children to acquire strategies to deal with situations that they face in real life. Illustrations by Nick Roberts- The gorgeous front covers of these books capture children’s interest. And the monotone illustrations inside the book are detailed and stunning.